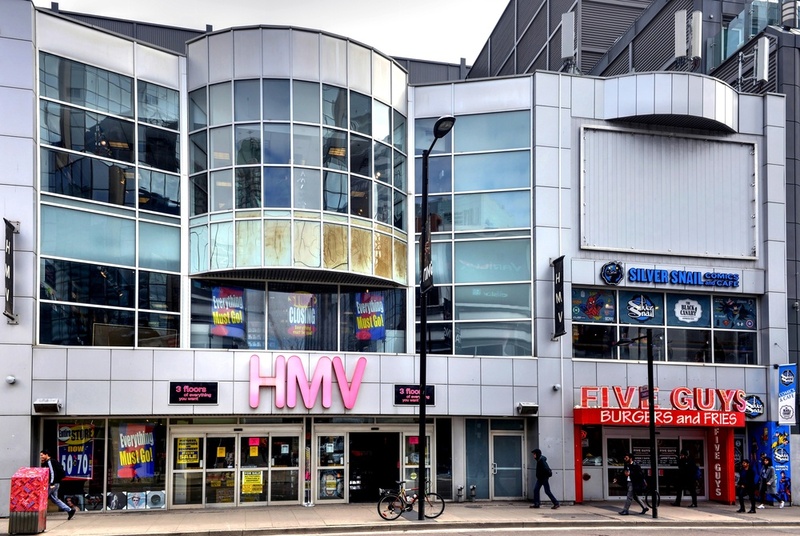 The latest application for cannabis retail shows that one dispensary is moving into the former location of HMV’s flagship record store. According to the ACGO’s website, an application has been submitted for a cannabis retail location at 333 Young Street by Tokyo Smoke. The owner is listed as one of the five retail license lottery winners in the city, Colin Campbell. Tokyo Smoke itself began as part of the city’s cannabis scene in 2015 as a coffee shop owned by Alan and Lorne Gertner. Since legalization, the store’s parent company HIKU Brands, has been purchased by Canopy Growth, the country’s largest cannabis producer by market cap, and runs four licensed dispensaries in Manitoba and two cafe locations in Toronto. According to the AGCO, public notice period runs until April 2, which means this location will not be ready to open by April 1, the earliest date for cannabis retail locations to open in Ontario. Other locations include Ameri, the first application for Toronto submitted to the AGCO, listed at 20 Cumberland St, a short walk from the Royal Ontario Museum. It was followed by The Hunny Pot Cannabis Co. which submitted an application to open up shop on 202 Queen St. West and Nova Cannabis, on 499 Queen St West, parallel to the city’s iconic Graffiti Alley.